Stories are powerful – we all know that. So powerful that, sometimes, a single example can overwhelm a wheelbarrow full of facts. One guy was very interested when I explained that my work is in the field of business storytelling. He asked a few questions, but was pretty sarcastic about storytelling. He went on to explain that he was a member of the Victorian branch of the Australian Sceptics Society (their website describes them as “an evidence-based organisation run by volunteer members”). A month or so ago I was giving a presentation about the lack of scientific evidence about acupuncture. 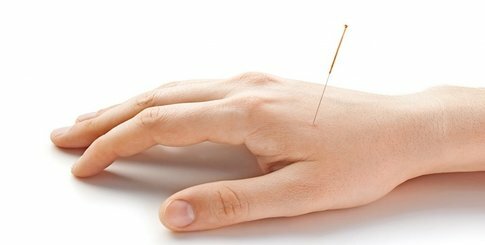 I was able to lay out all the facts, all the data, conclusively demonstrating that there is no evidence showing that acupuncture provides any provable benefit. At the end of the presentation, an audience member told of how they had treatment for years for chronic back pain and it was only when they tried acupuncture that it was finally resolved. It was really annoying. I lay out all the evidence and then someone tells one story about acupuncture working, and the entire audience believes them and not me. It’s just not right! There are clear business implications from this example. Facts are important, vital even, but on their own they are often insufficient to change people’s minds. But, you can amplify their impact and influence by wrapping your facts in an engaging example. When preparing your next presentation, spend at least as much time finding relevant examples as you do getting the facts right and crafting your bullet points. You might be surprised at the impact you can have.